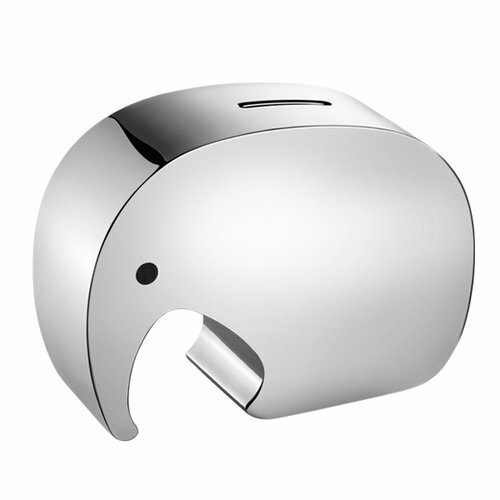 Georg Jensen's Moneyphant was created by Jørgen Møller as well as his great-grand child. Møller's first elephant design, a bottle opener, was born in 1987 with the help of his grandchild. As the Elephant became recognized worldwide, Møller's then designed more elephants, such as a key ring and the Moneyphant for storing coins. The Moneyphant contains all that Scandinavian design has become known for: elegance, strength and functionality. Jørgen Møller (1930-2009) started his career by working in the drawing office of the Danish legend of architecture and design, Arne Jacobsen. Simple everyday objects have always interested Møller. Therefor he has designed several beloved everyday objects during his long career.